Historic Herb Brooks Arena will be the site this weekend for the NCAA Division 3 men’s Frozen Four Ice Hockey Championships. The semifinals are Friday. Third-ranked UW-Stevens Point (22-5-2) will face ninth-ranked SUNY Geneseo (20-4-6) at 3 p.m. Friday afternoon. 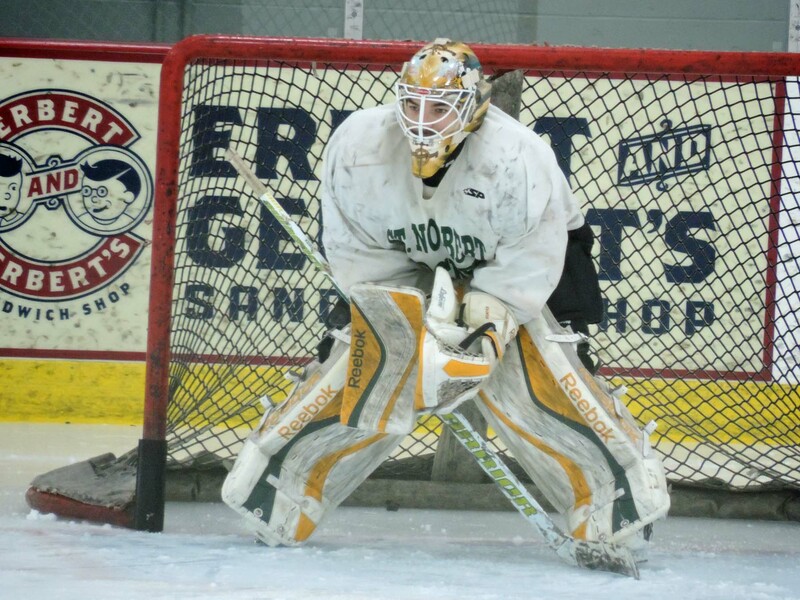 Second-ranked St. Norbert College (24-3-2) will face eighth-ranked UMass-Boston (23-4-3) at 6:30 p.m.
St. Norbert College is aiming for its fifth title in the last nine years, capturing titles in Lake Placid in 2008 and 2012. The Green Knights captured the 2011 title in Minneapolis and in 2014 in Lewiston, Maine. That latest title victory came against Stevens Point. Stevens Point has also captured four titles, the last of which came in 1993. UMass-Boston and SUNY Geneseo are both looking for its first national championships. 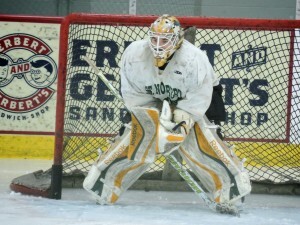 St. Norbert meets UMass-Boston in men’s ice hockey for the first time. Head coach Tim Coghlin, in his 23rd season said unfamiliarity is not a bad thing. Neither Coghlin or Stevens Point coach Chris Brooks wanted to discuss a possible championship matchup.